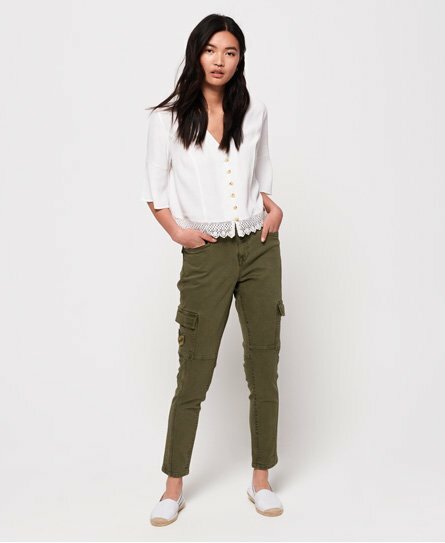 Superdry women's Daisey skinny cargo trousers. Swap out your denim this season for the Daisey skinny cargo trousers. Designed in a skinny fit, these trousers feature a zip and button fly, belt loops, two front pockets and two back pockets with a popper fastening. The trousers also feature pockets on the thighs, one with a logo badge for the finishing touch.